swissmiss | AIGA/NY | Seymour Chwast Today! AIGA/NY | Seymour Chwast Today! 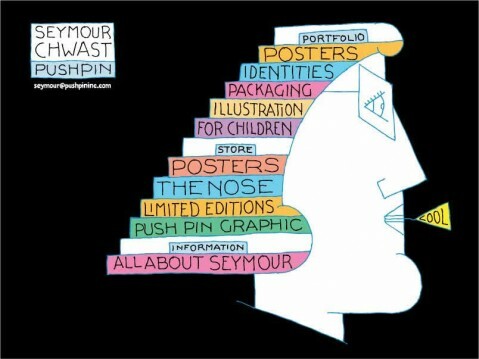 Here’s an event you shouldn’t miss: Seymour Chwast, the quintessential New York designer/illustrator/painter, is launching his newest book with AIGA/NY tonight, June 16th, 2009. Chwast and Steven Heller will flip through the book chapter by chapter and allow us to listen in on their various and variegated commentary. Chwast has promised to expose his obsessions, as well as his fears, follies and successes. For those of you who don’t know, Chwast has illustrated for most major magazines and has designed and illustrated over 30 children’s books. He is co-founder of Push Pin Studios and is a root source for the spread of comic expressionism across America. His posters are held in many museums including Pompidou Center Gallery (Paris), Stedelijk Museum (Amsterdam), the Museum of Modern Art (New York), the Library of Congress (Washington D.C.) and the Israel Museum. He is in the Art Directors Hall of Fame and he is the recipient of the AIGA medal. It’s killing me that I can’t attend. But maybe you can? Make sure to register! Please report back! I went today after registering last night (gotta love the AIGA student discount!). Embarrassingly, I hadn’t heard of Chwast before I went, but I really love his work now that I’m more aware of it. I value and am inspired by his use of humor in his work, something I try to use in my work. It gives me confidence to continue working the way I do, and to explore other humorous ideas I have. All in all it was a great talk, and I’m glad I attended!